Apple CEO Tim Cook, wrapped up a new product announcement presentation at the Steve Jobs Theater on the new Apple campus on Tuesday in Cupertino, Calif. 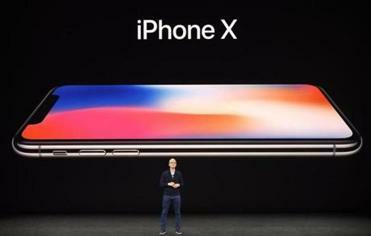 If you dislike push buttons as much as Steve Jobs did, Apple’s 10th-anniversary iPhone X may be just what you’ve been waiting for. 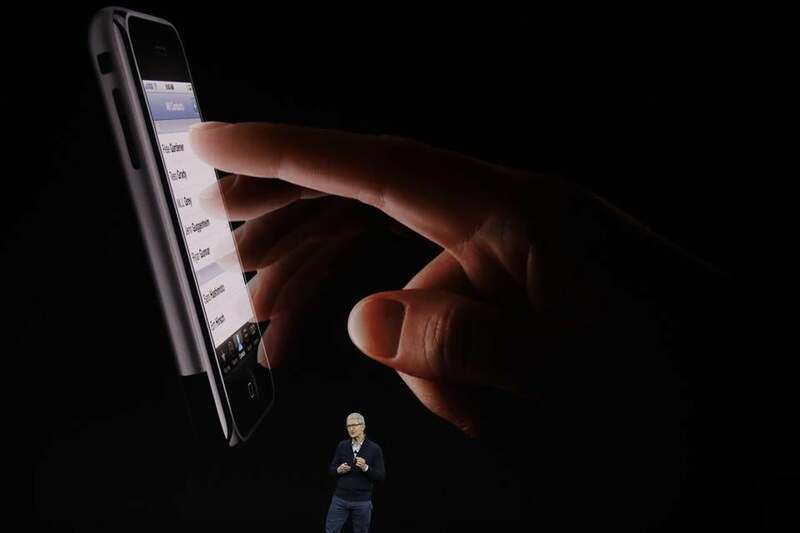 But for me, the unveiling of Apple’s latest superphone on Tuesday was a major letdown. I expect a phone priced at $1,000 or more to be a true luxury item. Apple came through on the price. But where’s the luxury? Instead, we get Face ID, a new facial-recognition system that’s supposed to recognize the phone’s owner, even in the dark, and unlock the phone. Face ID eliminates the need for Apple’s excellent Touch ID fingerprint scanner, embedded in the iPhone’s iconic Home button. On the iPhone X, the button goes away, giving way to a 5.8-inch expanse of unblemished glass. Jobs, who loathed push buttons, would be proud. I guess Face ID is a luxury, of sorts. But it’s about the only one you get in a phone with a base price fully $200 higher than that of the new iPhone 8 Plus, also revealed yesterday. Apart from a slightly smaller screen and that darned push button, the 8 Plus offers pretty much all the goodies delivered by the iPhone X. So why pay more? Watching the presentation streamed from the Steve Jobs Theater at the company’s spaceship-like new headquarters building, I got the feeling that even Apple executives were feeling a little let down. Face ID didn’t work the first time Apple vice president Craig Federighi demonstrated it from the stage. But eventually he was showing off a feature that generates and transmits animated emoji images that mimic the expressions on the user’s face. Here’s a look at the items Apple unveiled at its showcase. When Federighi frowned, the emoji frowned; when he grinned, the emoji grinned. Cute. Somehow I can’t imagine Steve Jobs showing off a happy-go-lucky pile of animated dung with quite the same glee as Federighi. Actually I can’t imagine Jobs doing that at all. Classless. Still, they had to spend time on the animated emojis and the iPhone X’s button-free screen, because that’s all they had. Well, actually, the iPhone X has a lot more, but all of it is also included in Apple’s iPhone 8 Plus, priced at $799. The Plus has the same new processor chip as the iPhone X, the same dual cameras on the back, a slick-looking “portrait lighting” mode that should make it a lot easier to take professional-grade snapshots, and an augmented reality system that may finally take this long-awaited technology into the mainstream. Quick refresher: With augmented reality, the phone’s camera shows you the real world, while software overlays images and data to give you a different perspective on what you’re seeing. Apple showed off an upcoming app from Major League Baseball. At the ballpark, point the phone at the field and the app will project data onto the screen about the action, for example, the name and close-up photo of that guy who just stole second base. I’m not in a mood to spend hundreds on a smartphone right now. My Android and iPhone devices are both two years old, but work fine. That said, the iPhone 8 Plus, available Sept. 22, seems to offer real value for the money. For that matter, so does the smaller iPhone 8. For $699, you get a 4.7-inch screen, a single 12-megapixel rear camera, the same powerful processor chip as in the iPhone X, and support for augmented reality. How disappointed am I in the iPhone X? Put it this way: If I were going to spend that much on a phone, I’d opt for the Samsung Note 8. I’m biased, of course; I’ve been using the Note 8 for about a week and might feel differently when I get hold of the iPhone. But for $930, the Samsung phone gives you an excellent camera, a bigger screen than the iPhone X’s, the ability to jot notes on the screen with a stylus, even when the phone is asleep, and a fast charger that fully powers up the battery in a little over an hour. Apple bragged yesterday about adding a new wireless charging option. I don’t want wireless charging; I want rapid charging, Samsung phones have offered this for years at no additional cost; Apple’s new phones finally have it, but require you to purchase special rapid-charging adapters to take advantage of it. Apple will sell the iPhone X as fast as its manufacturing partners in China can make them. But rumors of parts shortages abound, and the iPhone X isn’t scheduled to be on sale until Nov. 3, suggesting the company is finding it hard to build up inventory. If you’re desperate to have one by Christmas, Apple will start taking orders on Oct. 27. You’ll get no competition from me. Unlike Steve Jobs, I don’t mind push buttons. But I do hate to spend too much money. Correction: This story has been updated to reflect the availability of fast charging for the new iPhone.